How Babies Can Change a RelationshipHave We Outgrown Each Other? If you want to seek couples counselling, who should you go see? If you want to get help for depression or anxiety, who should you visit? What type of therapy professional is the best fit for talking about job stress? If you have an addiction or dependency, who can help? If you have a mental health condition such as bipolar disorder or PTSD, whose professional assistance should you seek? There are many types of therapy professionals. Depending on their education, training, and specialization, they are qualified to help patients with a range of issues. With so many different classifications of therapy professional, it can be hard for those seeking help to know where to look. This frustration can serve as a barrier to adequate treatment. To help resolve this confusion, here we outline the differences between different types of therapy professionals. Specializing in the betterment of the lives of individuals through encouraging them to develop skills and utilize available resources to resolve issues and lead a better life, social workers are highly regarded for their ability to motivate and point people in the right direction towards a happier, healthier life. Serving the community in a variety of settings including family services agencies, general and psychiatric hospitals, welfare agencies, and many others, they collect relevant information from individuals and work with them to plan and fulfill a recovery strategy through action and regular collaborations. For example, this can include assisting individuals with mental health issues going through addictions recovery, where the social worker may direct them towards support groups and set up meetings on a regular basis to ensure that they attend and are improving. Social workers have a four-year post-secondary bachelor’s, a masters (required for many positions), or doctoral degree, and spend several years learning the intricacies and discipline required for such positions. Many are not aware that many social workers do talk therapy in a counselling setting, like other counselling practitioners. Many social workers are trained in couples therapy, trauma, addictions and mental health issues. They can be equally as effective as any other therapist and usually more cost-effective. Those specially trained in marital relation and family counselling work specifically to help couples and family members understand and amicably resolve conflicts. This is often achieved through a collection of sessions that are either performed on one-on-one basis, but sometimes all impacted individuals are bought together to resolve the issues in the presence of a highly trained professional therapist. Possessing graduate and postgraduate degrees specifically in Couples Therapy, Counselling, and Spirituality, marriage and family therapists work as highly effective buffers between areas of conflict to mitigate and repair damage before it tears a relationship apart. For the most effective treatment for relationship problems, it is recommended that you opt for a therapist trained in Couples Therapy specifically, as they can be more well-versed with such practices and have undergone rigorous training pertaining to marital and relationship issues. In Ontario, Marriage and Family Therapists are licensed under the American Association of Marriage and Family Therapy (AAMFT) and are required to do 1000 hours with clients and supervised for 200 hours. Often confused with psychologists, psychotherapists are different in that they train less from a strictly scientific and analytical perspective. Various kinds of mentally stimulating and direct work is carried out with individuals by psychotherapists. Like with other counselling practitioners, many who work with a psychotherapist do so for several months or years in an attempt to cope with issues that are preventing them from living a full and healthy life. The practice of psychotherapy is similar to psychology in terms of bettering the lives of patients, but the latter opts for a more observant and analytical perspective as opposed to psychotherapy’s more spiritual approach that is adapted to suit the needs of each individual. In Ontario, many psychotherapists are also social worker or marriage and family therapist. In layman’s terms, a psychologist is a trained professional who studies how we think, feel, react, and exhibit behaviour from a scientific perspective. By carefully observing and analyzing the attitudes, emotions, and personalities of patients, psychologists discuss with them how to overcome various problems stemming from their feelings and thoughts. They focus their research on various topics, including mental health problems (depression, anxiety, etc. ), rehabilitation and coping with disabilities and/or chronic illnesses, addictions and substance abuse, criminal behaviour, marital and family relationships, and lifestyle management such as anger or stress, among many others. A psychologist holds either a master’s or doctoral degree in psychology that stems from 6 to 10 years of university studies, and they can branch into several specialities (such as child psychology). This enables them to develop a firm and comprehensive understanding of the human condition, making them highly knowledgeable professionals that understand how our minds work and deal with negative or unexpected factors. Psychiatrists are medical doctors (M.D. ), specializing in mental health. They must complete medical school, pass a written examination to receive a provincial license, complete four years of residency, and become board certified. Psychiatrists are qualified to diagnose mental problems and their physical manifestations, including addiction and substance abuse disorders, bipolar disorder, anxiety disorders, post-traumatic stress disorder (PTSD) and other mental health conditions. In addition to psychotherapy treatments (“talk therapy”), psychiatrists are licensed to prescribe medications such as antidepressants, sedatives, and mood stabilizers to treat the corresponding disorder. In Ontario, you need to a referral from your doctor to see a psychiatrist. 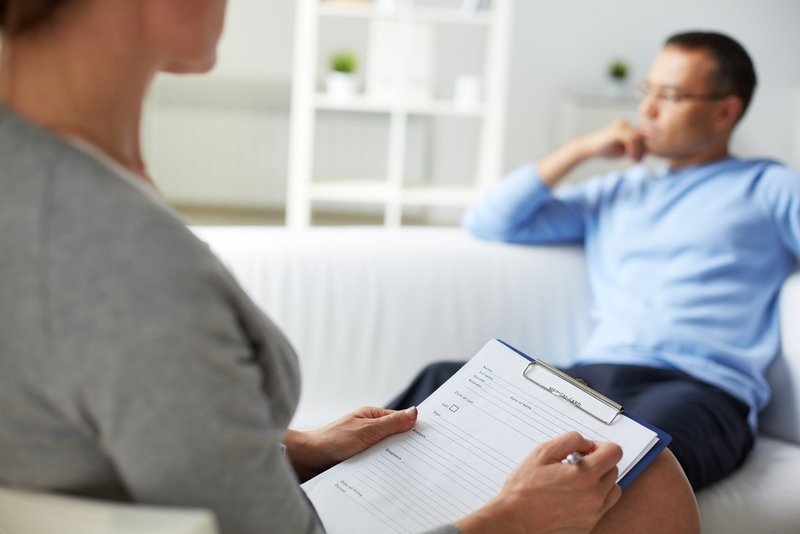 While some psychiatrists will do talk therapy, due to the high demand of resources, many psychiatrists will assess medication and connect clients with another counselling practitioner for talk therapy. Please note that many benefit plans require a master’s degree to provide coverage for clients. Regardless of the practitioner you select for your emotional and/or mental recovery related needs, there are various professionals specially trained in a variety of specific practices. Be sure to find one who is trained to deal with your specific troubles, and in time you will be on the road towards a brighter future. The research shows that although the expertise of the therapist is important, so is your connection with your therapist. You need a strong rapport and connection with your therapist in order for therapy to be effective, no matter the credentials of the therapist. At VRC we range in expertise and have had the opportunity to work with many clients. We do our best to meet the needs of our clients and provide the best therapy possible. Contact us today to learn how we can help.